Traditional Martial Arts OR Modern Martial Arts? After having seen a certain martial art demo have you heard someone say or have you said this before? "That will never work... in the 'cage'/ on the 'street'/ in UFC/ against a boxer or mixed martial artist!" If you have I'd say you're/they're probably right. 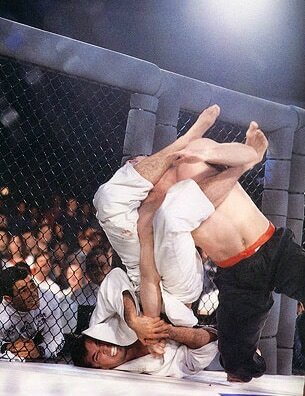 The problem with that statement is the UFC or 'the cage' isn't the be all end all testing ground for martial art. When it comes to martial effectiveness I'd say 'the cage' or the UFC is one of, if not the best place, to pressure test your technique in a 1 on 1 all inclusive environment. The more broad problem is that 'martial effectiveness' isn't the only goal in 'traditional' techniques, styles, exercises, or forms. My purpose in writing this post is to help you refocus how you look at traditional martial arts, and martial art practice in general. The focus when looking at martial arts, especially traditional ones, should be on asking "Does the art build a certain skill, attribute or does it have some other cultural or social relevance?" Various martial arts focus on different aspects of these. Boxing, JiuJitsu, and Mui Thai even fall into these categories. In particular we're looking at skills such as musculoskeletal development, cardiovascular and other forms of fitness, whole body coordination, efficient strength, posture, and rehabilitation of injuries and many more. After seeking the reasoning we then have to ask ourselves is this something we could find appealing? Thanks to all those who have helped me extensively on my journey! First of all I want to thank my great family for supporting me all this time and reminding me life's never as hard as I make it out to be. =) You contribute to everything I do and I could never thank you enough, or in as many ways which you deserve. THANK YOU! Second I want to say thanks to everyone who has taught me something and lifted me up professionally and spiritually. The rest of this post will be a homage to the great things you've taught me recently, so that your guidance may help others on their journey. Third, I'd like to extend a big thank you to everyone who has liked my stuff on Facebook, signed up for the newsletter, attended my classes, subscribed, and/or shared my content. If it wasn't for you Move With Life would still simply be a dream I write about in my journal, and a vision I have in my head as opposed to the reality YOU make it. Thank you for following and allowing me to share my passion and journey with y'all. I hope it's been worth it, much more greatness to come. ​So let's dive into some recent glimpses of enlightenment I have gained from my current mentors, and friends. Felicia Brown, Dave Cial, Rick Panico, Bushi Yamato Damashii, and Rodney J Owen. Martial Art + Massage need each other! A match made centuries ago! 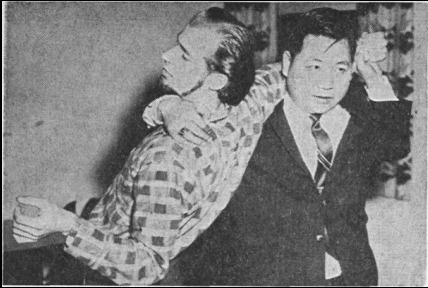 Massage has been very important in martial arts for a long time. Not just for injury recovery, but also for prevention, and even many times as a requirement for ranking as a "master" in w/e discipline or system. Today we'll explore the main reasons I feel one is indispensable from another and how both complement each other almost seamlessly. Warm up your hands and grab your lineaments today we're diving into how massage and martial arts make a devastating healing couple! My goal in this post, is to illustrate the different avenues and similarities in training hard and soft. In outlining both paths I want to shed light on possibilities of developing both types of power and training them simultaneously. In Kwan Ying Do our focus is always on balancing our training Yin and Yang. Hard styles of Kung Fu + Chi Kung as well as Soft styles of Tai Chi Chuan + Chi Kung. Let's start by looking at foundational philosophies of hard and soft then we'll dive into outlining what we classify as internal, external and their requirements. "The type or particular method of meditation isn't important, rather it's developing patience and persistence... The results will come, just keep practicing, and above all stay calm." My personal view is that Meditation is the process by which we shape our mind to rest in the Way and internally create the life we desire to be reflected in the world. Coupling this foundation with action leads the way to our better life. How can we help the mind rest? By 'fasting the mind' and following the Way. Why do we salute anyway? What meaning is there in all these movements? What's the purpose? ​Are they practical? The journey is NOT the thing! The path isn't the result... many times it's the opposite. Working toward something we should act as if already having it, this outlook will make the journey much easier. However, it must be understood that the work which needs to be done rarely feels like the goal we are doing it for. True words are not beautiful.